What Will All Home Inspection Reports Reveal? When you buy a home, you will get a home inspection done before you decide to finalize the deal. These reports will show you the things wrong with the home and all home inspections will show something similar. Here are a few of the things you will see on all home inspection reports when you’re shopping for a home to buy. This is not something to be alarmed by as a buyer. It’s not that big of a deal and can easily be fixed. However, as a seller, if you do a pre-inspection and dirty gutters show up, clean them. It will make the buyer’s home inspection cleaner and it will make the home more presentable. You can also add screens to the gutters for less than $100, which will keep them from getting dirty again. Another easy fix and nothing to be alarmed by as a buyer is dryer vents filled with lint. As the seller, you can easily remedy this issue, which will make the home a bit cleaner when showing it. You may not know what this is, but it’s something that shows up on home inspections often. If you do a pre-inspection, as the seller, you want to make sure you remedy this issue, as it can be confusing for buyers and it’s best to just deal with it. This is a common issue found on home inspections and an easy thing to fix. If you are selling your Nashville home and this shows up on the pre-inspection, have it fixed. It won’t cost much and it’s usually a pretty easy fix. 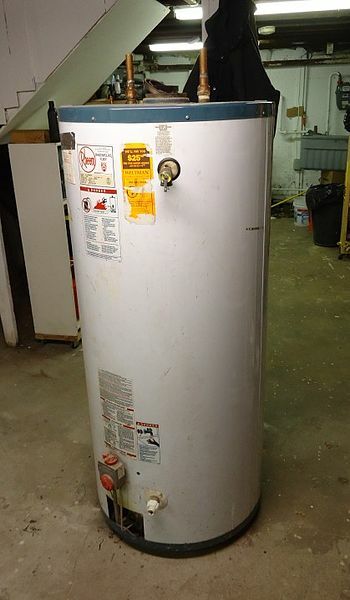 In addition, make sure the pan under the water heater is properly installed. Another thing showing up on home inspections often is the vapor barrier. It’s usually associated with the crawl space, where a homeowner may never go. If you’re selling your Nashville home, have this fixed before you list the property. If you have an exterior electrical box and the lock isn’t function or doesn’t exist, fix this. It will show up on the home inspection and as a buyer, it’s an easy fix, but as the seller, it’s one more thing to deal with when the buyer gets the inspection report back. An easy fix for sellers as they can call a good landscaper and get it handled, many home inspection reports show that trees need to be trimmed back from the house. Get your pre-inspection done and make sure this doesn’t show up if you’re selling. If you’re buying, you can use this as a negotiating tool and ask the seller to get it done before you finalize the purchase. These may seem like small things, but when a buyer sees a report with several things listed, it can become a big deal quickly. As a seller, get a pre-inspection and handle any of these little things ahead of time and you won’t have anything to worry when you list your Nashville home for sale.